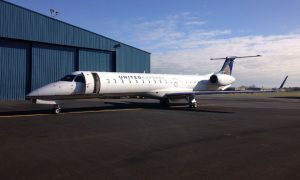 CommutAir’s first jet aircraft arrived at its Albany maintenance base earlier this week. It will be used for FAA certification and training before being placed into service early next year. 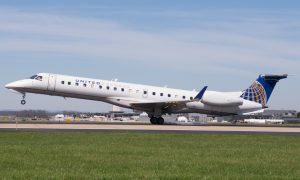 The first aircraft is one of 40 ERJ145 aircraft that CommutAir will operate under a previously announced operating contract with United Airlines. The contract also introduced a Career Path Program (CPP) for CommutAir pilots. “We are excited to have been given the opportunity to fly jets on behalf of United Express,” said Joel T Raymond, Chief Operating Officer. 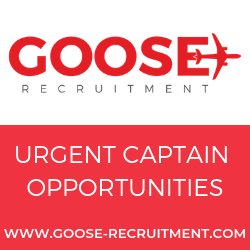 “Aircraft growth and the CPP mean great promotion and career opportunities for crew and staff. We could not be happier,” he added.